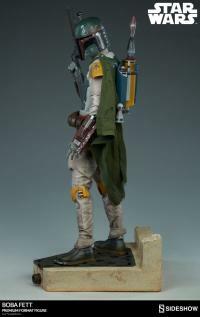 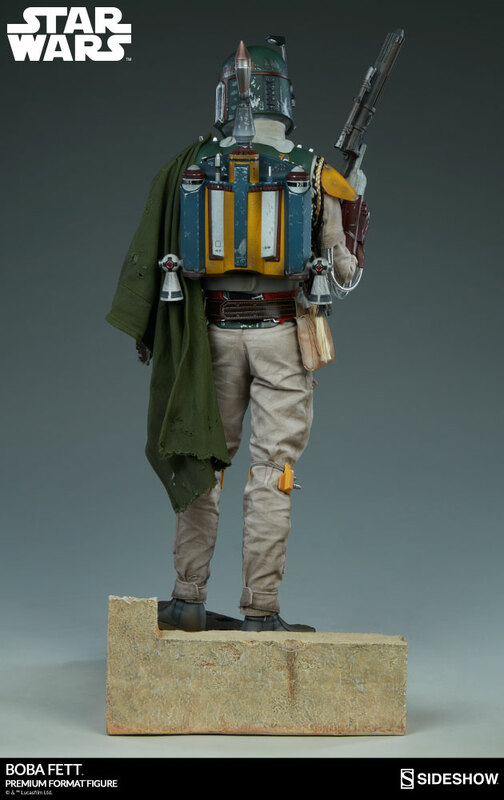 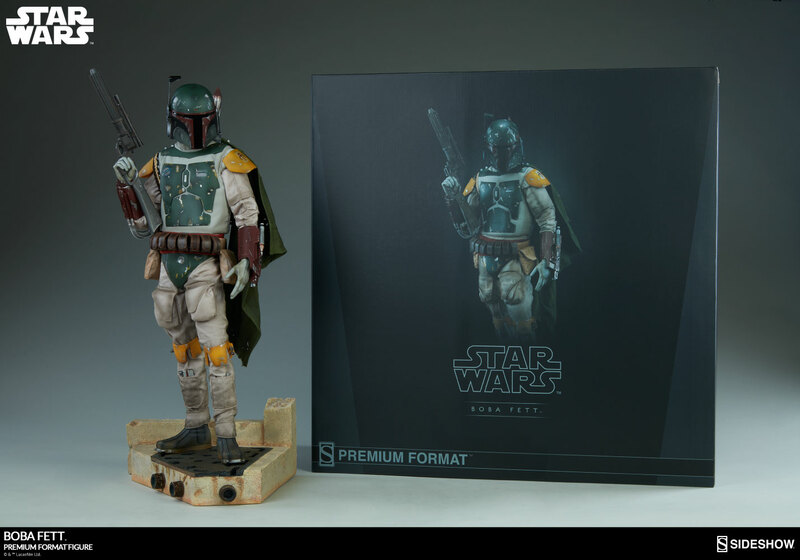 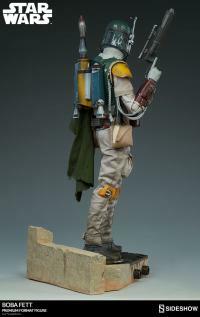 Taking inspiration from his memorable appearance in Star Wars: Return of the Jedi, Sideshow has created an all-new Star Wars collectible Premium Format™ Figure that pays homage to the mysterious man-hunter! 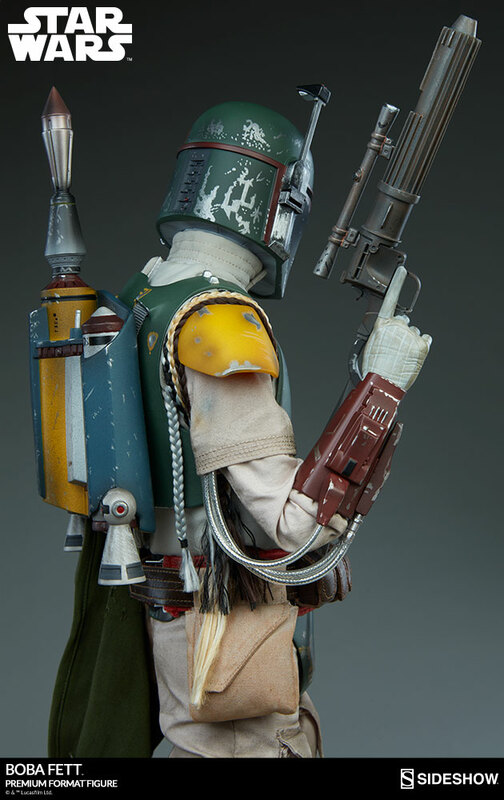 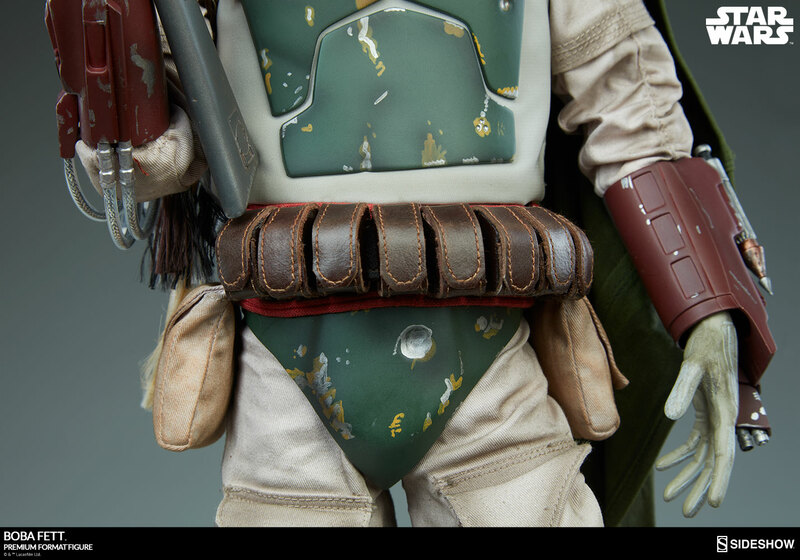 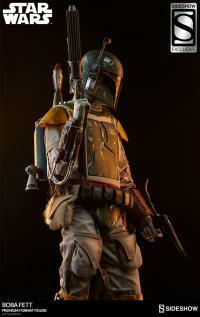 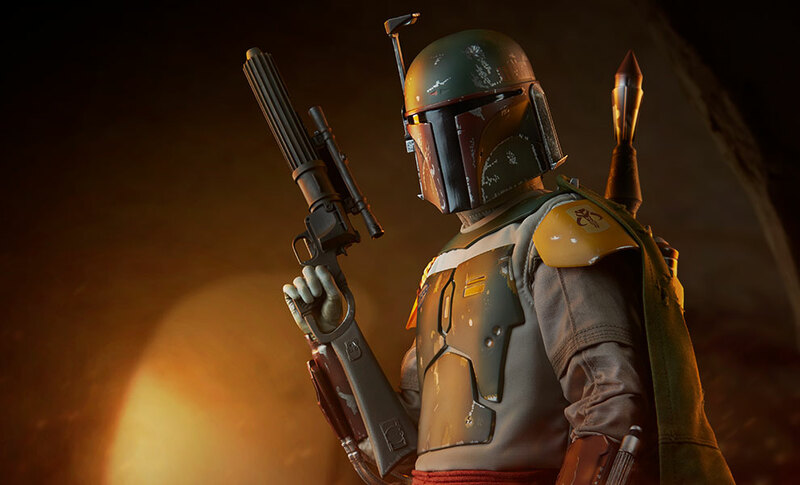 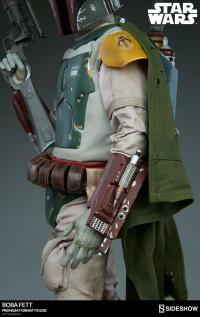 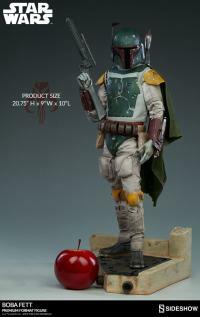 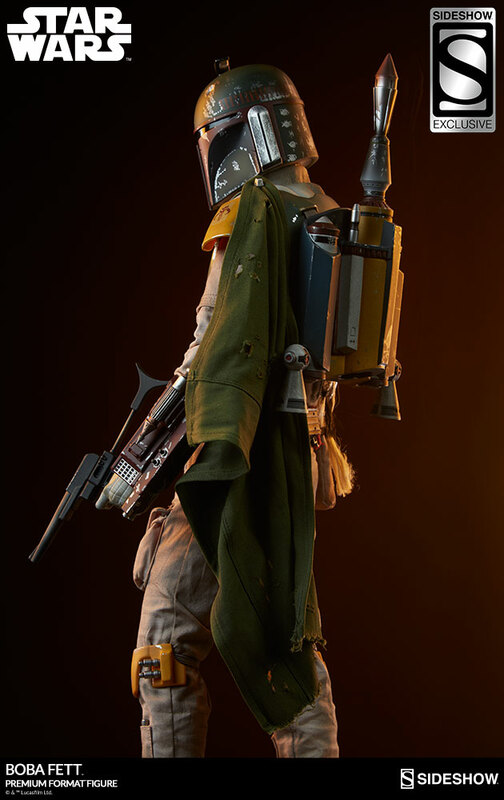 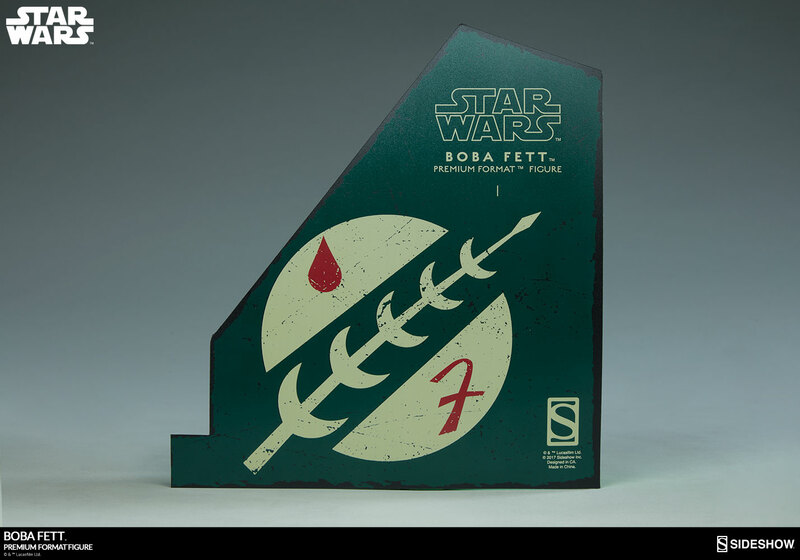 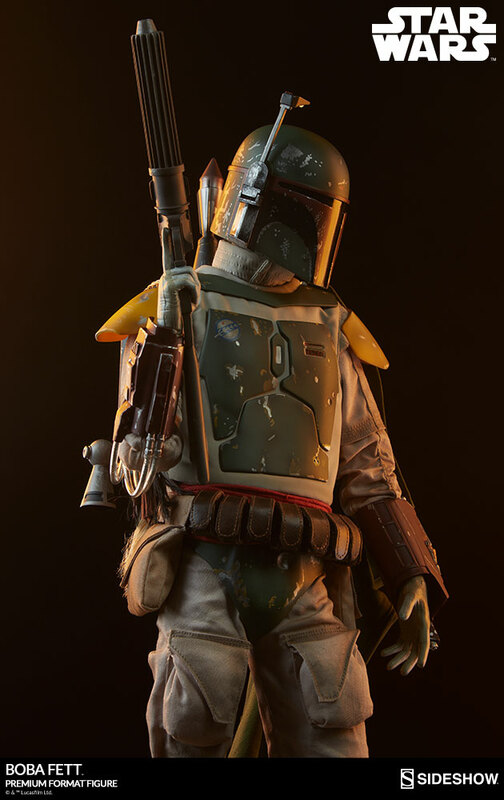 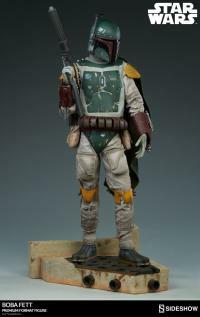 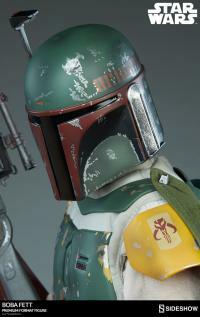 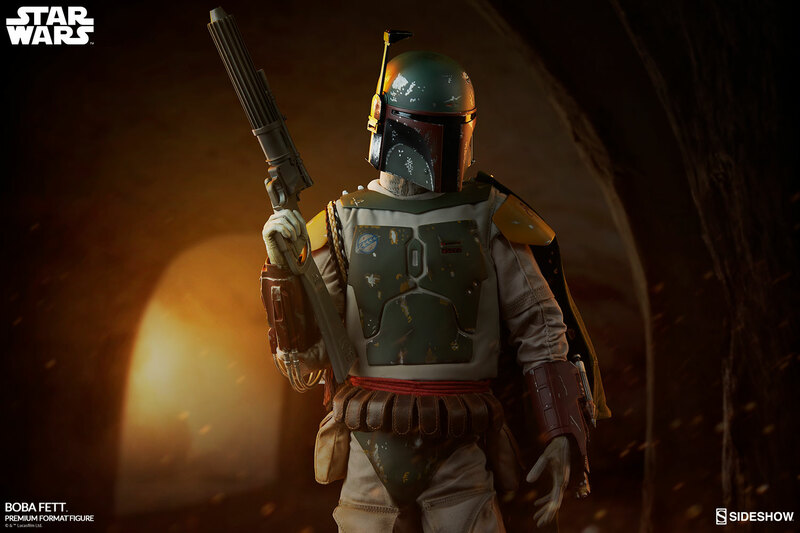 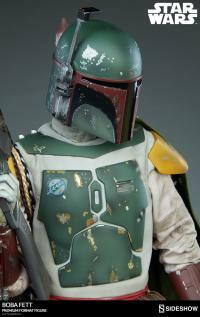 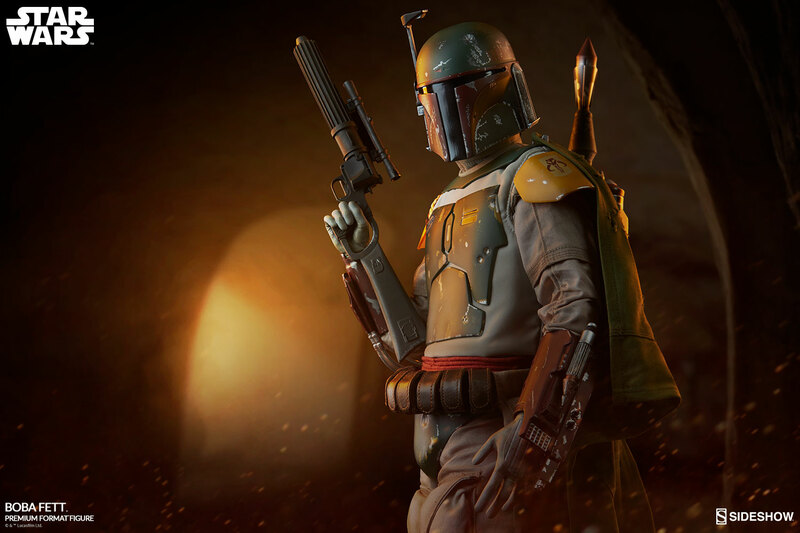 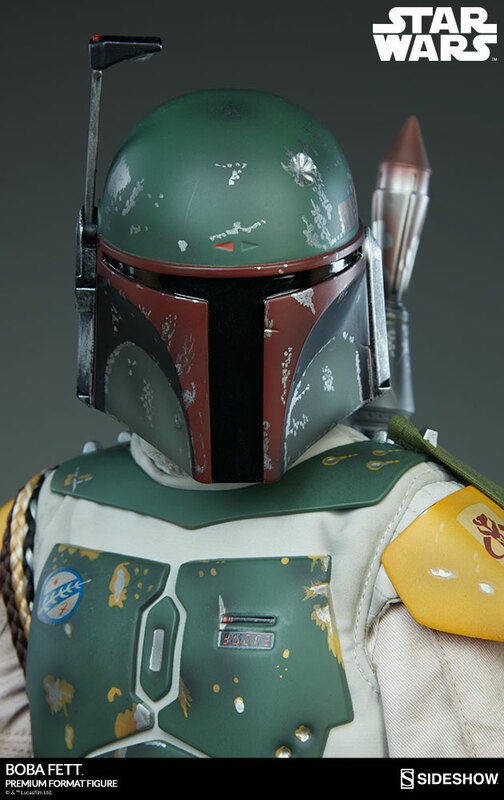 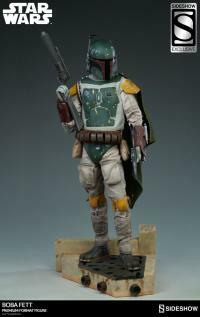 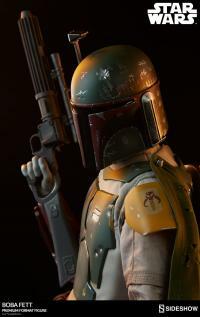 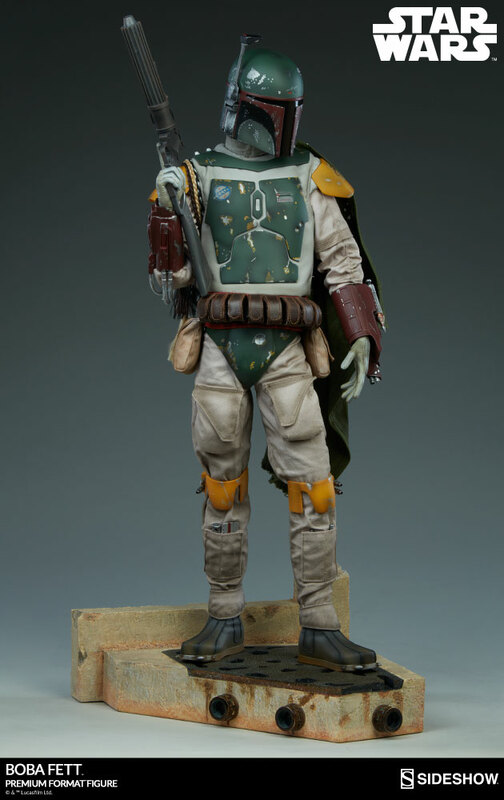 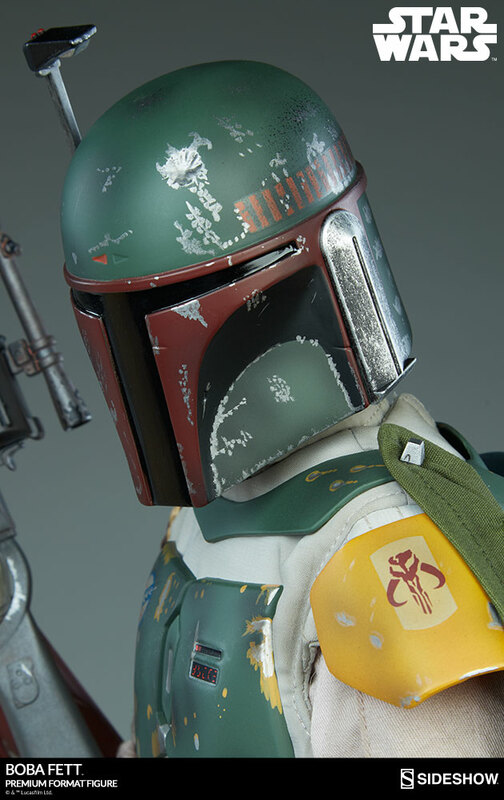 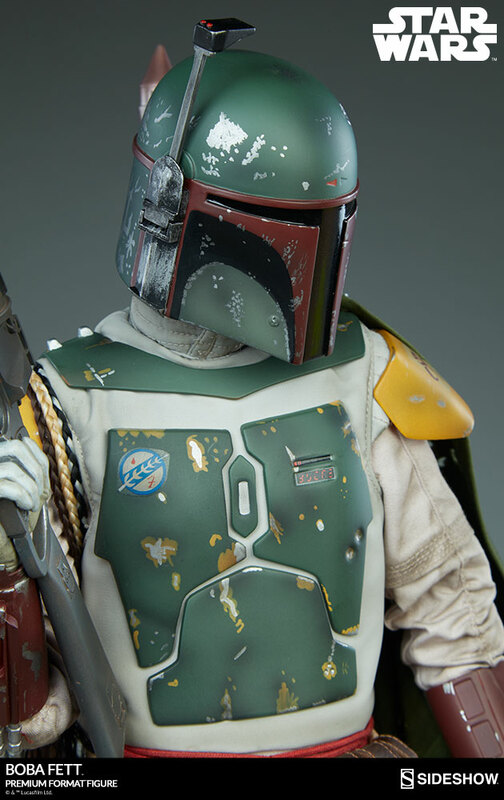 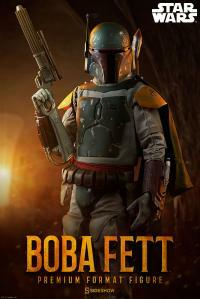 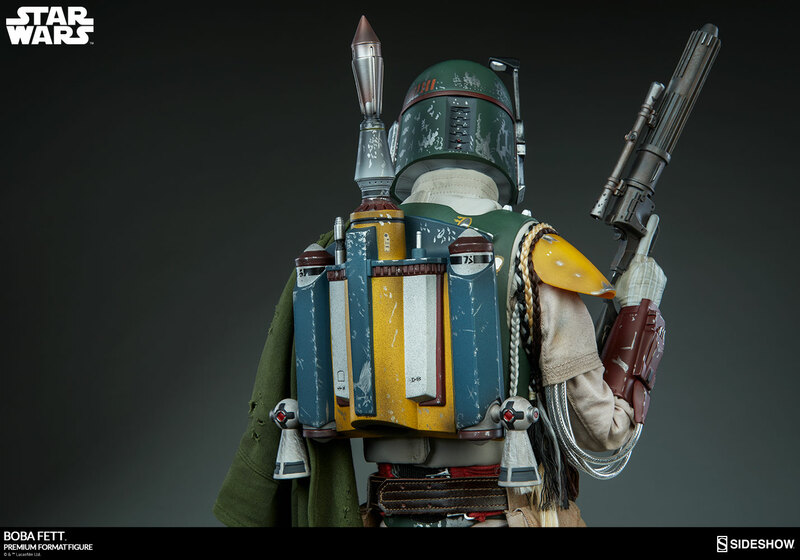 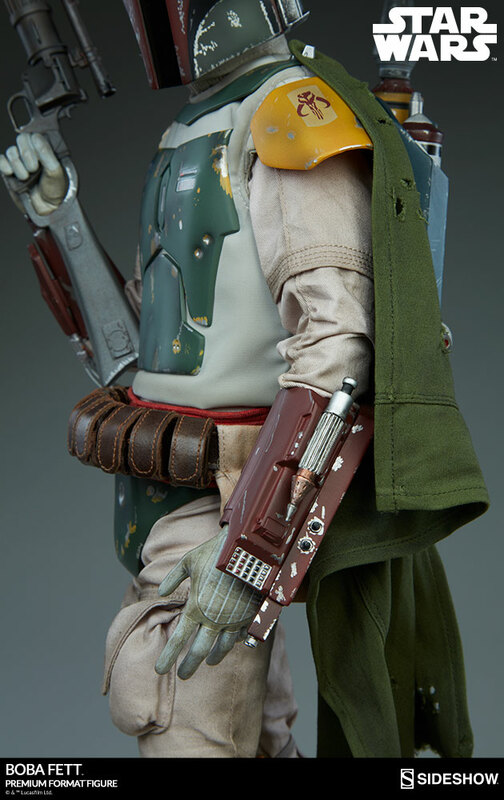 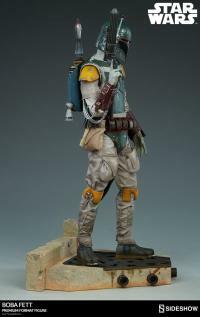 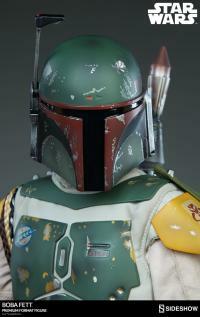 Outfitted in his battle-worn Mandalorian armor and jetpack, and wielding his EE-3 Blaster Carbine, Boba Fett is not a man to be trifled with, striking fear into the hearts of even the most hardened galactic gangsters. 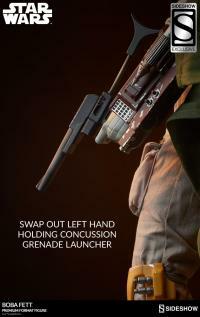 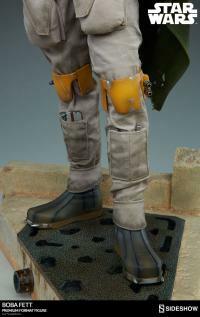 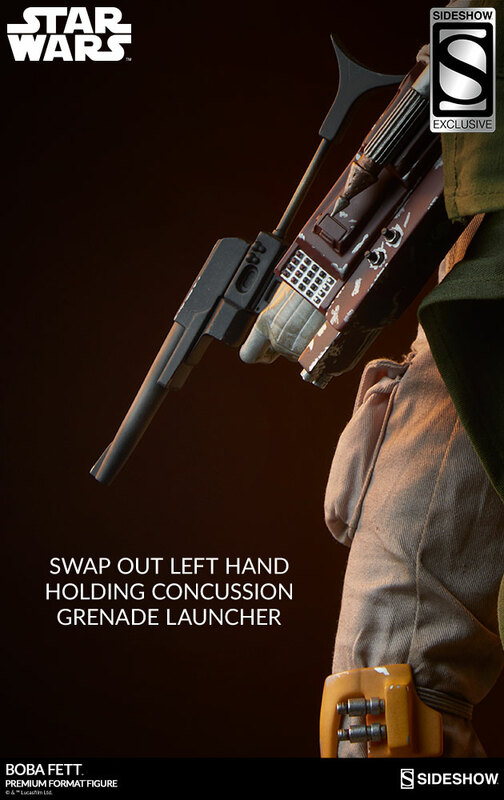 The Sideshow Exclusive variant features a swap-out hand with a concussion grenade launcher. 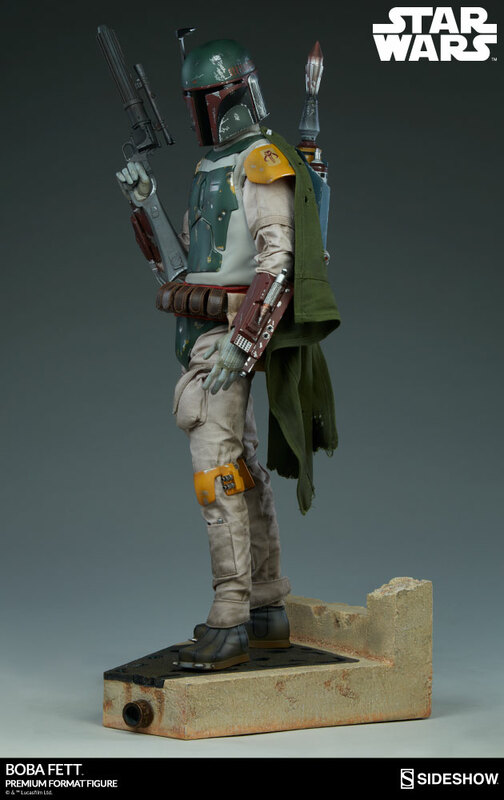 Well I just received my first sideshow statue. 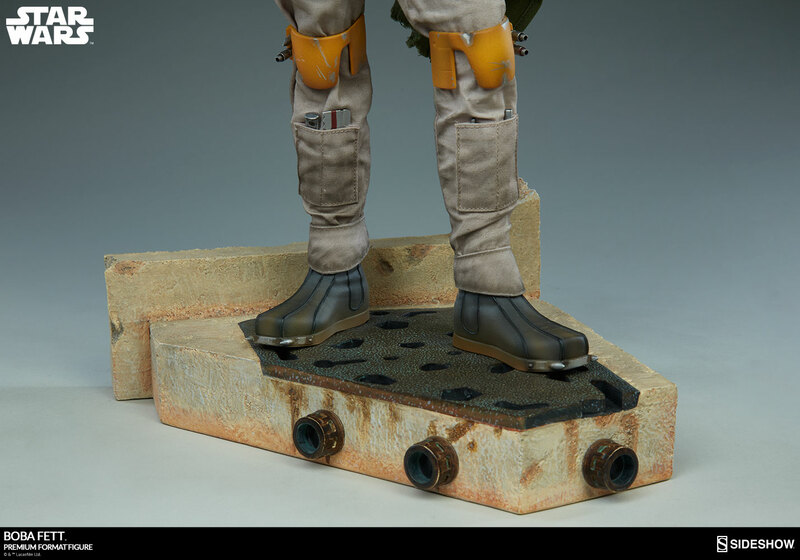 I must say Im so impressed. 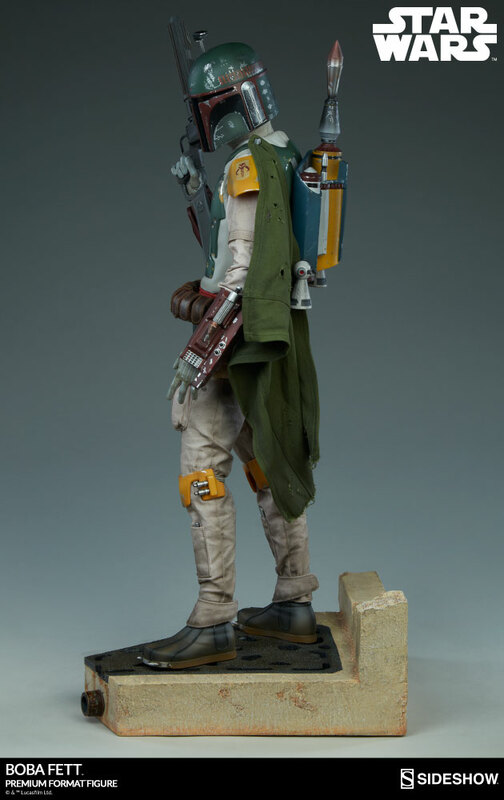 First off the shipping literally took one day. 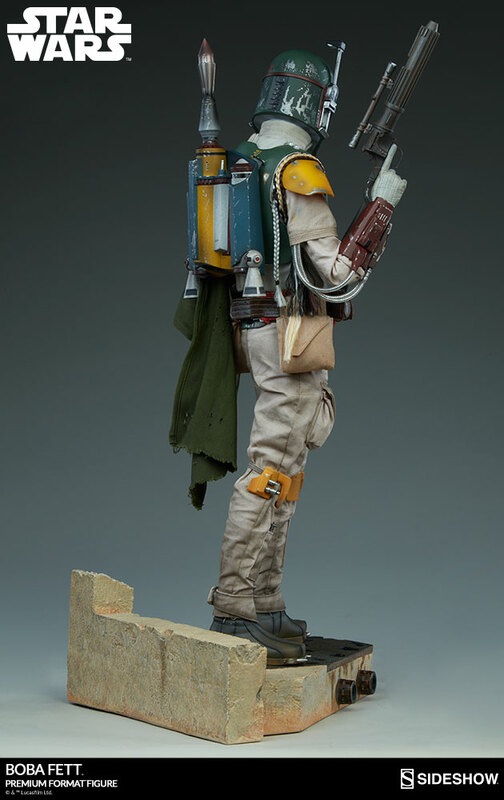 I was like jaw dropped when the UPS guys came to my door. 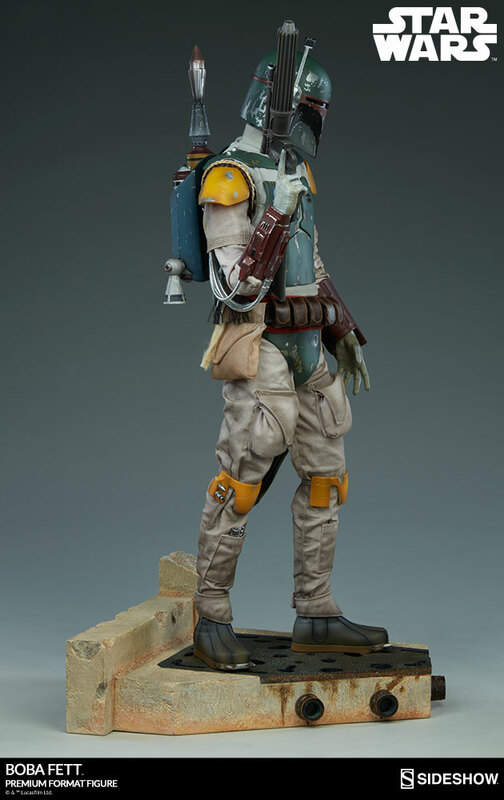 As I unboxed my favorite Star Wars character I was blown away with this statue. Couldnt be happier! 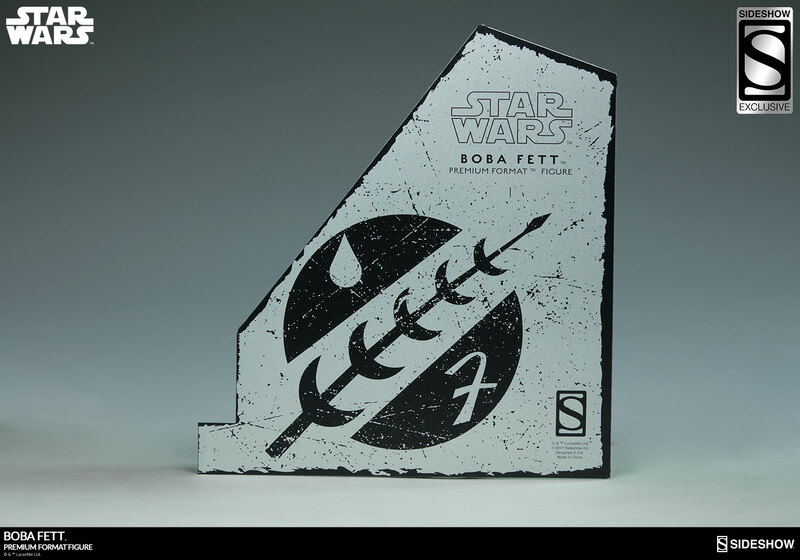 This is my first Sidshow piece. 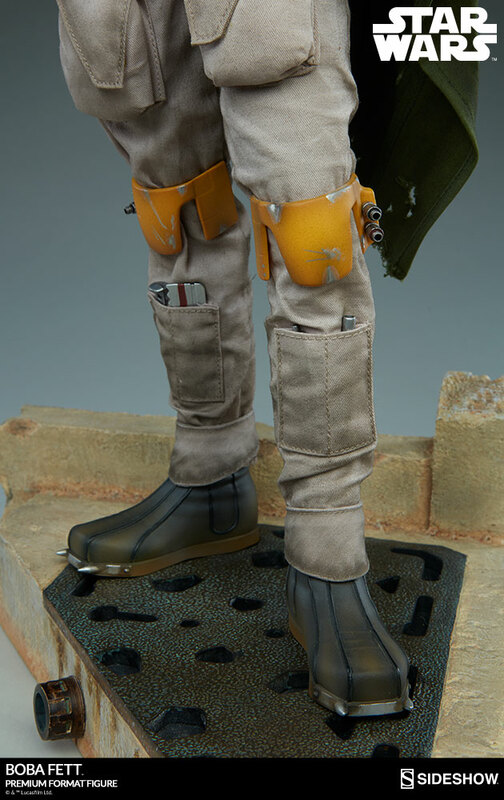 The presence and attention to detail on this figure is incredible. 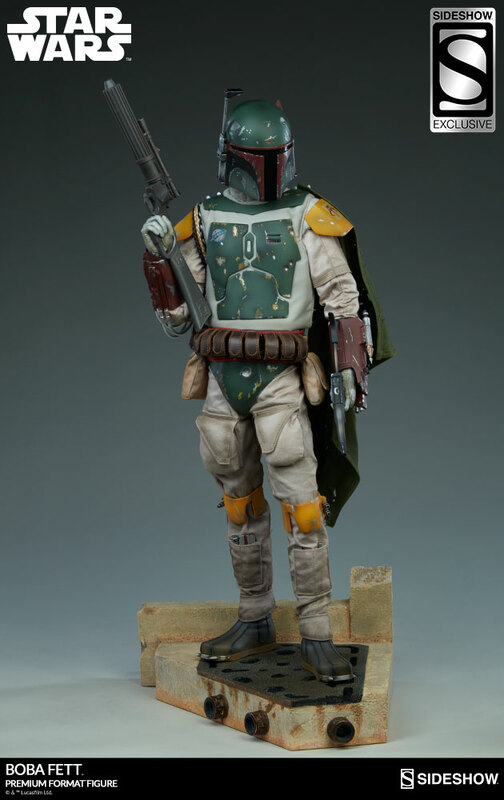 It is impressive and intimidating on the shelf.